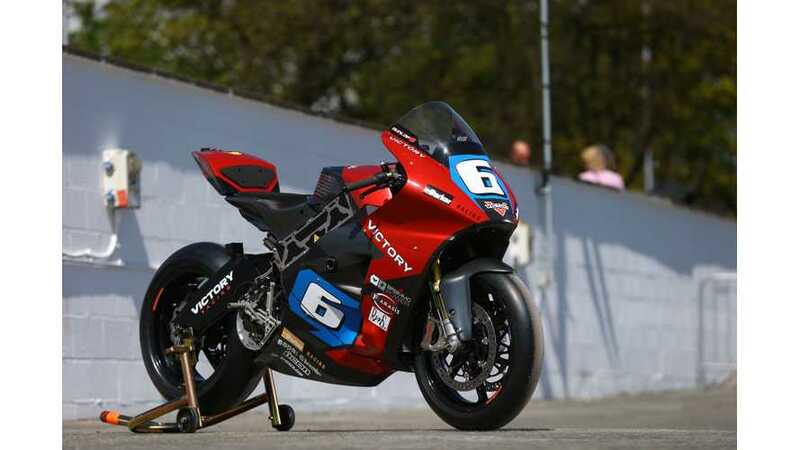 Victory Motorcycles is engaged in two first class electric racing events at once. Earlier this month, Victory scored a second place finish at the 2016 SES TT Zero. Now, in the U.S. Victory Racing is gearing-up for the 2016 Pikes Peak. Here we have video (above) from tests of the Empulse RR (or Victory RR) at the Thunderhill Raceway Park alongside gasoline Project 156 prototype. Victory Racing returns for the 100th Anniversary of America’s oldest and toughest roadrace with the Empulse RR bike, a prototype version of the Electric Powered Victory Empulse TT.